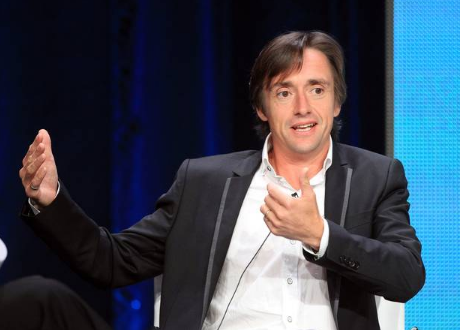 RICHARD Hammond has cast doubt over the future of Top Gear after he tweeted "there's nothing for me to 'quit'". His cryptic tweet came a day after the show's former chief executive Andy Wilman - widely regarded as key to Top Gear's success - left the programme in the wake of Jeremy Clarkson's sacking. The prospect of Top Gear returning to screens in the same format on the BBC became slimmer still, after James May told The Guardian before Wilman's departure that appearing beside a "surrogate Jeremy" would be "awks." Hours after Wilman stepped down from Top Gear, he was spotted with Clarkson and his former Top Gear co-hosts James May and Richard Hammond leaving the sacked presenter's house in west London. The sighting fuelled rumours that programme will not return to the BBC, and its talent will instead create a new motoring show with another British broadcaster, or an online using a streaming platform such as Netflix or Amazon, MailOnline reported. However, May told the website after the meeting that the men were simply "having a pint", and said he did not not know what he would do in the future.